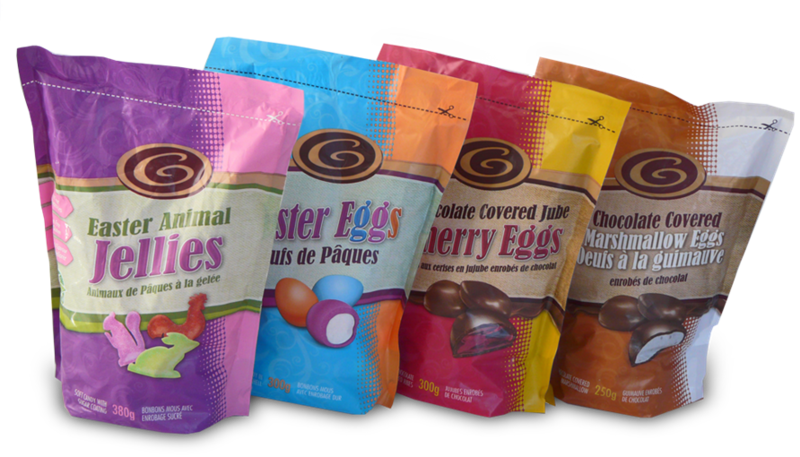 GF Ontario Blog: Ganong - Easter Chocolate Giveaway! Yeah, that's right... free chocolate! Easter it just around the corner and that means chocolate! 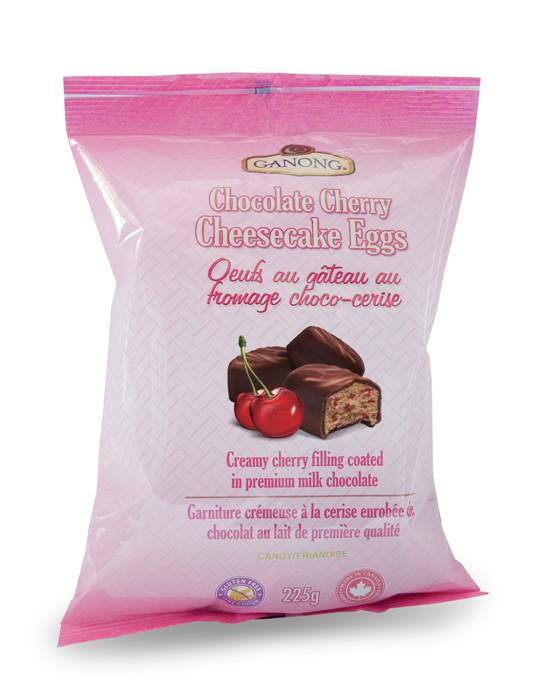 Ganong has got you covered with their line up of gluten-free Easter chocolate and treats. 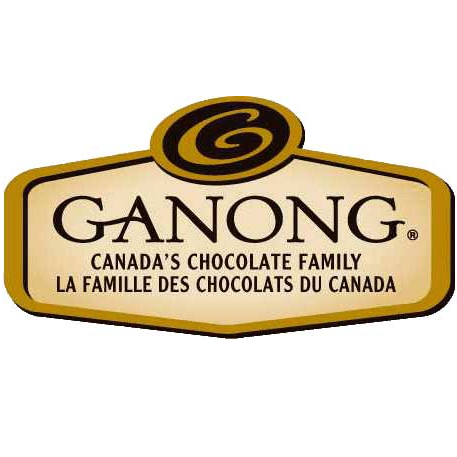 In Ontario, Ganong products are available at Wal-mart, some Loblaw stores, Shoppers Drug Mart, and Sobeys. 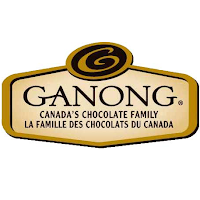 Ganong Delecto boxed chocolates: Milk, Dark, Truffles, and Nut and Caramel, one box of each. 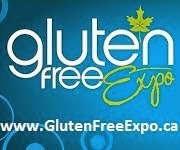 That's a total of NINE gluten-free treats! 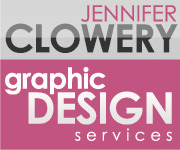 The approximate retail value of the package is $ 50.00! 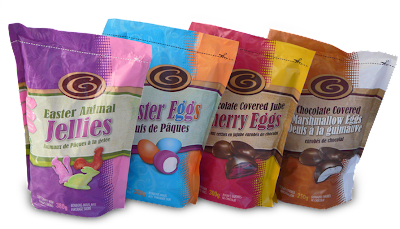 All of these products are clearly marked Gluten Free, and the Easter candy in stand up bags is made of compostable packaging film. What is your favourite Easter tradition with your kids? 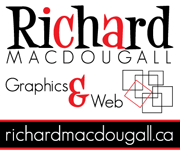 This contest is open to Ontario residents only! 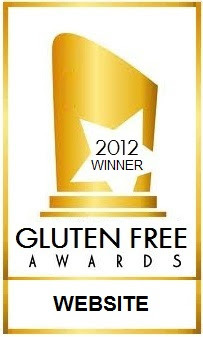 (This is Gluten-Free Ontario, after all) The winner will be chosen by Ganong and I will post the winner's name by Monday, March 26, 2012 on Facebook, Twitter and on this page. My favourite Easter tradition, that's easy. Egg cracking contest. Two people sit on the floor opposite each other, with your feet touching, and legs in a V so the area between you looks like a diamond. Then you roll your eggs at the same time trying to destroy the other persons eggs. The one who cracks the other persons egg first wins. The winner moves onto the next person, using the same egg, and so on and so on. The person left with the egg with least amounts of cracking wins. Prize - you get to eat your hard boiled egg! My favourite Easter tradition with my kids is what my parents did with us when we were kids: hard boil a dozen eggs and then help the kids dye them with an Easter egg colouring kit. We leave them for the Easter Bunny and in the morning the kids look for the hidden eggs, and there are chocolate ones to find too. The kids get a small gift (chocolate, bubbles, sidewalk chalk or a new summer hat for example) and end the day with a family dinner! Our easter tradition may be really silly, but it's something we look forward to every year. We make a little bunny in the wild scene on a huge plate that is all edible. It starts out with green Jell-o, which we set and then mush up an place on the bottom of the plate, which is meant to look like grass. We make pink blemange bunnies using a bunny mold. After it is set, we put them in the grass. Next, we get some bananas and slice them for little mushroom stumps, then we put peach halves on top of these stumps, completing the mushroom. Now for the hilarious part. We sprinkle raisins over the grass. If you ever has a bunny, you would know that they poop like crazy.....thats what the raisins are for. It's out silly familly tradition that I love very much. You enter the link to the photo below to see the final product. I hope you like it. I guess our favourite tradition was the egg hunt. Foil wrapped small chocolate eggs hidden around the main floor.As my children grew, it became a challenge to find places less obvious! They also enjoyed decorating eggs- I eventually switched to hard-boiled...got difficult to 'blow'out the yolk through hole in the bottom of the egg- 3 kids- couldn't get them done fast enough without getting dizzy-LOL. Great memories! PS. 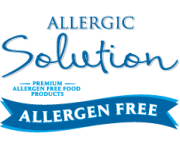 Ganong products are also available at PharmaPlus in ON. Our favourite Easter tradition is a scavenger hunt for our daughter on the Saturday and then church and visiting family on the Sunday. She is 11 this year and still wants the hunt but at least we can make it challenging now that she is older! I still love a good old fashion Easter egg outside - weather permitting! We often have rabbits in our backyard and the rabbit poop provides evidence for my 4 year old - He loves finding, then re-hiding the eggs to find them all over again! My favourite Easter tradition with my son and from my childhood is hunting around the house for treats that have been hidden. My favourite Easter tradition was probably that we always got to buy an Easter dress for church and get all dressed up. Also loved the chocolate and jellies in my Easter basket and hot cross buns! I haven't had those for years! Used to eat a hot cross bun for breakfast on Easter morning before church. My favourite Easter tradition is painting easter eggs. We always used white crayon to write secret messages and then dye the eggs and watch the messages appear. There is nothing prettier than waking up Easter morning to a bouquet of decorated eggs and silly messages from one sibling to the next. 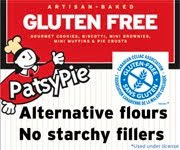 Happy Gluten Free Easter everyone! My favorite Easter tradition is every year, we'll boil some eggs, and everyone gets to design their own. Then, I hide all the eggs, and then everyone gets a prize for each egg they find. Whoever finds the most eggs wins the grand prize! My favourite Easter tradition is making JELL-O eggs for my nieces and nephews. 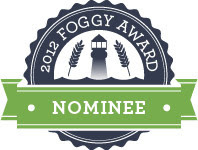 My husband started this years ago and I am continuing it in his memory. This year our three year old daughter is going to help make Daddy's eggs! My favorite Easter tradition is loading up those little plastic eggs with gluten free treats and hiding them in the backyard, then watching them collect the eggs and share the treats. My favorite Easter tradition started when I was a little girl and now I do it with my little girl. We make Easter bonnets. Lots of paper flowers that we paint and ribbons and beads. It is great fun! Ooops, I'm not anonymnous, I'm Kathryn Aldrich. Happy Easter!! My Favorite tradition is the magical jelly beans! Each child gets 5 jelly beans the night before Easter, we go in the yard and make a little hole for them magical jelly beans. In the AM the kids come out to find there jelly beans have turned into massive lollipops (the big color wheel ones). To see there faces light up is awesome! My favourite Easter tradition to do with the kids is dye Easter eggs! They love it! They love to get creative with crayons, stickers, different colours of dye, etc. We usually do that a couple days before Easter, then on Easter morning, the kids wake up and hunt for all the treats and eggs that the Easter Bunny left behind the night before. Letting our pet bunny run around during the easter egg hunt - He's the official easter bunny of our house!!! When the kids were small we use to make cadbury style eggs. They loved choosing the flavor of the cream in the middle. Every year we use to make homemade bunny cards as well. Now that they are grown and having kids of their own i hope they continue on doing this. They live far away and its hard for Nana to be there to help. SO fun to watch them run around outside to find all of the hidden treasures! There was a hotel near my grandparents' house that had an Easter brunch and a pen of chicks and rabbits. We never had the brunch, but we'd stop by after church and pat the animals. One year my dad had my sister and I trick my grandparents into thinking we had brought them home a rabbit as a present. They fell for it completely and we all had a good laugh. My grandparents have both passed away, but I still can't pass a Ramada Hotel without thinking of rabbits and chicks!! My Favourite Easter tradition is playing the "hot and cold game". My mother used to play it with me when I was little during my easter egg hunt. I would go all over the house collecting eggs but for the bigger loot she would tell me how close I was getting by telling me I was either "hot" or "cold". She liked to hide the really good stuff in tricky spots :o) I play this game with my three little ones at Easter and they love it!! My favourite Easter tradition was definitely the easter egg hunt when I was a kid! My mom was so good at hiding the eggs in the craziest spots. Now that I'm older, it's spending time with my entire family- which is a huge feat for us! We are holding an Easter egg hunt every year - if the weather permits outside otherwise indoors. Decorating the house with all sorts of things like my wooden easter bunny collection from Germany - a huge bunch of twigs from the garden (bring those in way before easter so they starting to have leaves/flowers at easter) and decorate it with hand painted and wooden eggs. But my favourite easter tradition is to sow a fast growing herb - usually cress - on a plate and put hardboiled & painted eggs on them so we can eat the eggs with the cress. 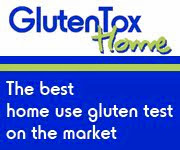 Wishing everyone a Happy & Healthy gluten free Easter. Favourite Easter tradition in my family hands down is the egg hunt. We always tried to come up with creative ways to hide the goodies. Part of our tradition is that we (the kids) always got something for a spring activity, so not only were we hunting down candy, we could end up with anything from skipping ropes, sidewalk chalk, bubbles and more. It was always fun finding some stuff marked for someone else..and watching them try to find it themselves..when it got down to the hard part we'd play "warm and cold". Lots of laughter occurred that way because sometimes the goodies/gift was right in front of the person's face and they would miss it completely despite family going 'HOT HOT HOT!" The egg hunt! My little guy may still be a tad young for the tradition, but it was my favorite thing come Easter! Tradition has to be the easter egg hunt! 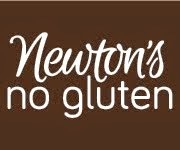 This is our first year being Gluten Free (our 5 year old is the reason we are all Gluten Free as he has to be). But we are still doing our best to find all the regular Bunny Treats that he can have so the Bunny can hide the treats and eggs all over the living room for our two boys to find! Gotta love watching them run all over looking high and low and being amazed when they find a egg (our two year old will likely stop to eat more than one!). Excited just thinking about it! Our Easter tradition is going to visit family in North Carolina. On Easter Saturday the families all go to the graveyard armed with buckets, brushes and soap and the kids clean off the gravestones of all deceased family members and during this time stories are told about their lives! A band plays on a balcony all dressed in period costumes. We then go to a cousin's home for a wonderful family meal and time together. An Easter egg hunt usually occurs during this time. This is a tradition that goes back many years! Our favourite Easter tradition is definitely hunting for the hidden Easter eggs!!! I wish someone would hide some for me... is that selfish?? hahaha.. I do it for my daughter but I still want the Easter bunny to visit me! First of all I need to say thank you for you safe line of FUN candy for kids and adults alike. 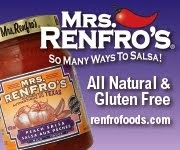 You have made Christmas and Easter a delight in our Gluten free home. I asked my kids what there favorite part of Easter is and they all said Easter Egg Hunts. You have made this possible for us, filling plastic eggs with your goodies. Thank you! Thank you@ The only challenge is getting my hands on your goodies. In NB i find it everywhere but now live in Ontario and drive around looking for it. IO will get my hands on it and when I do I will buy lots. Thank you again. Happy Easter to you and your family. - The Easter Egg Hunt , and trading candies for other candies. 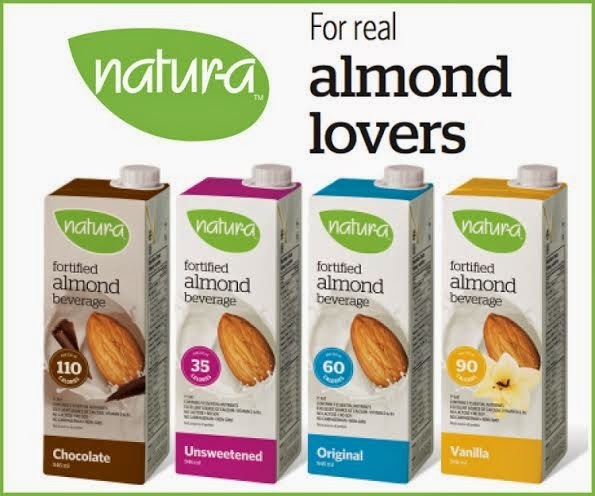 What a great gf give away from Canada's Chocolate Family! When my girls were small we would all gather round the kitchen table on Easters eve to dye and decorate Easter eggs, trying to outdo one another using elastic bands, crayons and polishing them up. That night Easter Bunny would visit and leave colourful baskets of chocolate bunnies, eggs and jelly beans and would scatter eggs around the living room for a morning hunt. There would be spring toys such as glass marbles, skipping ropes, balls, sidewalk chalk and maybe hula hoops. Easter dinner was a delicious feast cooked by Dad and enjoyed by extended family as well. Now that everyone is grown up we still enjoy lots of chocolate and Dad's great meal! Our favourite easter tradition is the ester egg hunt. When we get up Easter Morning - we hunt for eggs, bunnies and other Easter creatures stuffed with candy. The easter egtgs have our names on them and we search all over the living/dining room for them. Some are in obvious places, others are harder to find. Even though we are older now - this is our favourite activity. I have no kids of my own. However, I like to take spend some time with my 2 nephews and niece and colour real eggs and then hide them around the house for them to find on Easter morning. I also make a cake in the shape of a rabbit. They love it. I dont have any kids. But my wife would love this basket. Gluten free chocolate is the best combo ever. The first thing we do on Easter is go to Church. Then when the kids were small I would hide the eggs in different places and they would spend a long time on a scavenger hunt. Then we would enjoy the rest of the day...but first we would have a little taste of everything. Easter and candy and synonymous. My favourite Easter tradition was always getting up early and dressing the children in new outfits I made personally for them, bundling them in the car and going to Easter Service at our church. The rest of the day we spent talking about what we heard and knew about Jesus and His resurrection. In our house, the favourite easter tradition has always been colouring the hard boiled eggs. Even now ..my kids are 18 and 19 and they look forward to colouring eggs.. When we have had years when we haven't be able to do it they are always very disappointed. The eggs are always bright and colourful. Our favourite tradition is an Easter egg hunt, there are always hundreds of chocolate eggs hiding all through the house when the kids get up in the morning. It was the same when I was a kid, I might mention that now my kids are 21 and 19 and they still get as excited as ever. We all love Easter in our household...making memories and being with family always makes us happy. My kids and I love dying eggs and decorating them. It's so fun to see them searching for the Easter eggs the Easter Bunny leaves for them...we just love spending time together : ) This is my first Easter GF...I've gotta be careful with what I ingest now as far as chocolate goes...I've been known to be a choc-o-holic...didn't know Ganong had GF chocolate!! YAY! My kids loved the easter egg hunt...Now that they are all grown up we haven't done it for a couple of years...but this year we will have someone arriving from Ireland and I think I will do it again to add some fun to his first easter here as he arrives just a few days before. I like leaving word clues around the house. The first clue leads to the second clue, the second clue leads to the third clue and so on and so on, until eventually it leads to the treasure of goodies. Usually our Easter surprises start on Good Friday. We make "surprise visits" to family who are not expecting to see us. We meet up with my brothers and their families and my sisters and their families and go out for Fish and Chips...I usually have chips and coleslaw. Then on Saturday we go on an egg hunt with the other kids in the community. My little girl usually ends up with about 5 egss because she shares them with the ones who are younger then her...as long as she has on for each hand and one in her pocket she is happy. Then on Easter Sunday, we usually have a little egg hunt around the house leading up to her goody basket from the Easter Bunny! 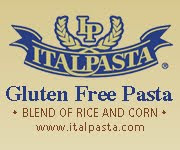 Dinner is usually turkey and all the fixings and a few friends who are "lonely" come over and enjoy it with us. Easter Monday is usually a relaxing day spent playing games and eating too much chocolate! My fav. Easter tradition growing up was the morning Easter-egg hunt. My parents would, the night before, hide small chocolate eggs (the kind wrapped in foil) around the main floor of the house, and on Easter morning my sisters and I would get up and race around trying to find the eggs. Only then could breakfast be eaten and preparations be made (in a rush) for church. I'm 25 now and I still go home for Easter every year that I can - and my parents still hide eggs. Sometimes we find them months afterwards, hidden in some little nook or cranny. They're still delicious. My favourite tradition, since I don't have kids is taking my dog (who I consider to be my kid at the moment) to the National Service Dog, Easter Egg Hunt. It raises money, to help train dogs that work with children with Autism. It is a great time seeing all the different dogs, some even dressed up in Easter outfits and is for a great cause. My favorite easter is yet to come when my next Ganong candy order arrives. Happy Ganong Easter! From a Ganong in Arizona.